This will be a very long post. Please take a seat and a cup of hot coffee for reading. This will be the third times Yogyakarta hosted the same type of event: a TCO17 Regional Event which was announced long ago on TCO17 website. Actually, I’ve been waiting for this event for a year! Why? Because it’s a special event that I can meet members from Topcoder and have fun there! Who coming this year? I saw lots of members coming this year: yoki, lunarkid, fajar.mln, idblack, djackmania, cardiboy, tewibowo, kharm, cendhika, petetebe, iaminfinite, gusnendar, sutowo, aveef, and many new members who were curious about how to start competing on Topcoder studio. From Thailand, I saw the renowned legend, king iamtong who won the May Design Month and won a trip to Yogyakarta this year. So here’s the summary for two days event of TCO17 Regional Event Yogyakarta. Before the registration opened at 8 AM, we got some attendees who came early and the line started to build up which was a wonderful sign at the start. With help from idblack, hmehta, cardiboy, and I, the registration ran smoothly with some snacks and drinks provided. The hall began to fill up. At 10, Harshit made an amazing entrance to kick off the TCO17 Regional Event Yogyakarta with music and applause from attendees. Then adroc and tgerring entered the room which was welcomed by the crowd. 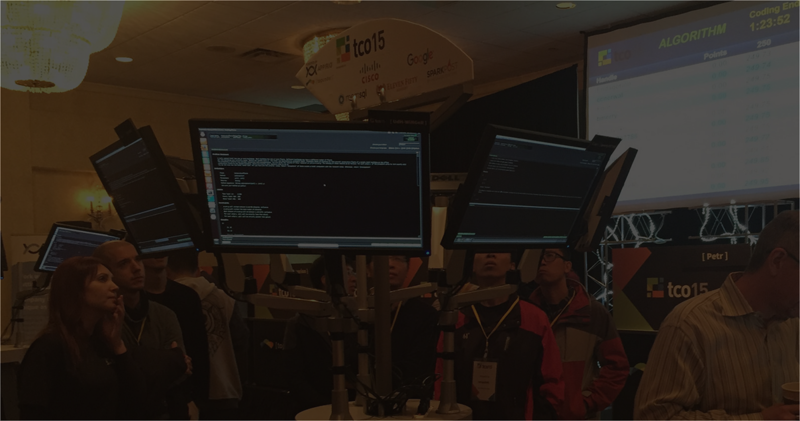 Next, adroc talked about Topcoder—when he began his journey at Topcoder and continued with helpful tips on how to compete on Topcoder. He also shared his deep knowledge and understanding of working with big clients, new trends, and technologies that are changing quickly. This year, I heard a lot of cognitive features come out from him. 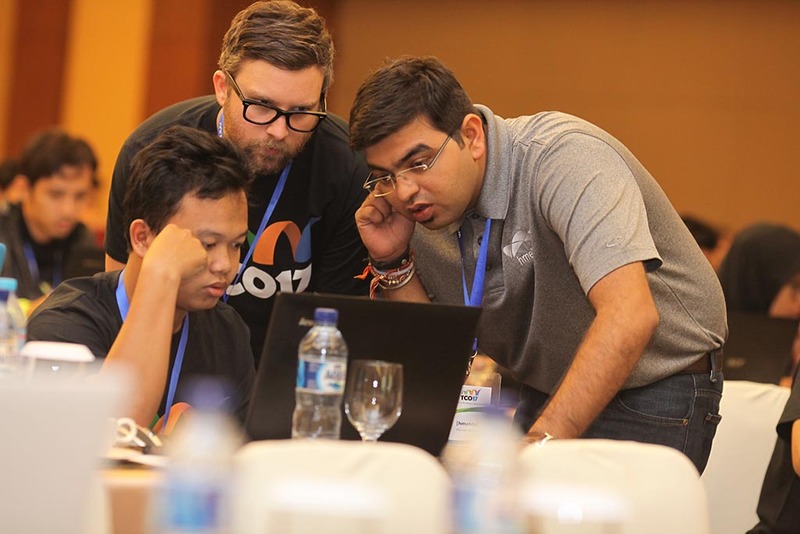 Using past challenges that were run on Topcoder, we then continued into a workshop where adroc showcase the problem and the unique solution that the members had submitted. Hoping the attendees paid attention to all his words because we then had a fun Rapid UX 1 Challenge after that. The hall became awkwardly silent with all the attendees started to design their screen to based on given spec at 12 PM. Well, luckily we have hmehta coming with this creative idea to play music based on attendees request. Off the record, I kept bugging him with some of my songs in his inbox. Thanks again hmehta for entertaining us while we were stressed working on an infotainment concept for the smart car in one hour! What a coincidence and see how the attendees rushed to design the concept solution! After one hour passed and all submissions were submitted, adroc, tgerring and hmehta returned. They then revealed another fun challenges the PixelPusher where attendees were invited to get wild on their photo manipulation skills. Next, we had our lunch break while adroc and tgerring reviewed the submissions. After a quick lunch recharging, adroc and tgerring returned and showcased the top submissions on 2nd Design Workshop and announced the Rapid UX 1 Winners then awarding the winners with cash prizes. Then we had another Rapid UX Challenge 2 run for an hour. Is it over yet? Nope! At the end of TCO Design Challenge Introduction, the main challenge which will send the 2 winners to Buffalo, New York began! Last year, we worked on a command center design. This time we have to tackle an infotainment screen that is widely used in a car. There were a bunch of new technologies introduced; especially cognitive technology. We got to see how creative all the challenge participants were on thinking a new way to integrate the cognitive technology into car infotainment display. We had 2 hours to work on TCO Design Challenge before a 1-hour break and continued working for 1 hour before submitting our submissions. It was fun and challenging to work in a very short time. I must admit this is good practice to see how you handle stress in these kinds of situations! We were wondering how he could make all those winning submissions. So, we discussed one of his winning cognitive challenges. Adroc asked him about his process and the idea behind his submissions. This modest designer then explained how he started with doing a research on AI stuff though not much was available on the internet. Then he get some help from the feedback the client and PM provided. Then he thought about how to make it easier to use/understand the solution. Adroc then asked about how he applies hierarchy when designing. It’s simple he said! “I just think which thing is the most important and just show it first to the customer,” he added. Personally this session was like fuel for me and filled my exhausted mind that feels desperate when losing on a challenge. Thank you iamtong for sharing your story with us! 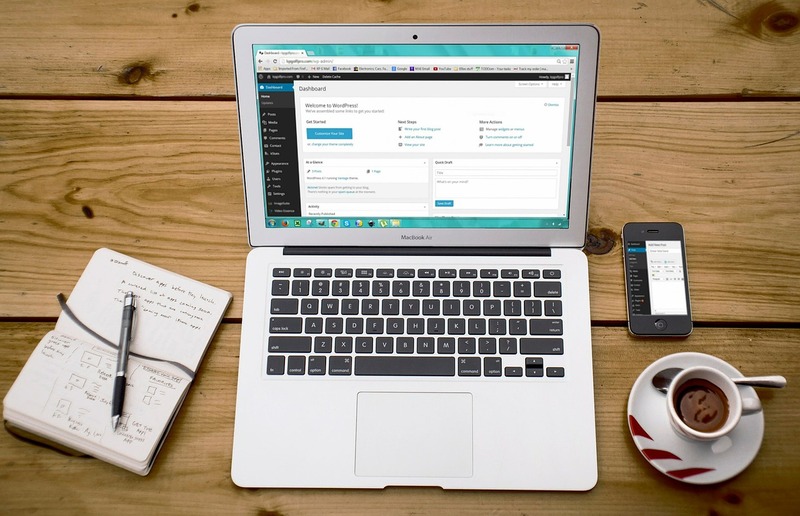 Along with tgerring, adroc then continued to showcase Rapid UX 2 submissions and explain things that stood out for him, the good and bad, while also providing feedback to submissions. We then have the Rapid UX 2 and PixelPushers 1 winners announced. Teaser alert: for those who didn’t have a chance to attend TCO17 Regional Event Yogyakarta, you should ask adroc about the result! What a day! A good rest brought back the smiles that disappeared last night, after the first round of TCO Design Challenge. I spotted almost all the people that came the night before and few others who were only able to join us on the final day. At 9:30 AM the event resumed with adroc welcoming back all the attendees with a short walk through on what happened the day before. He also showed the results of the TCO Design Challenge leaderboard! Then we had another one hour Rapid UX Challenge 3 that was focused on thinking how the smartphone can enrich driver experience with cognitive technology. Next, while we were waiting for the review process, another Topcoder Member Talk was held with fajar.mln and lunarkid as design copilots plus Idblack and yoki as designers. 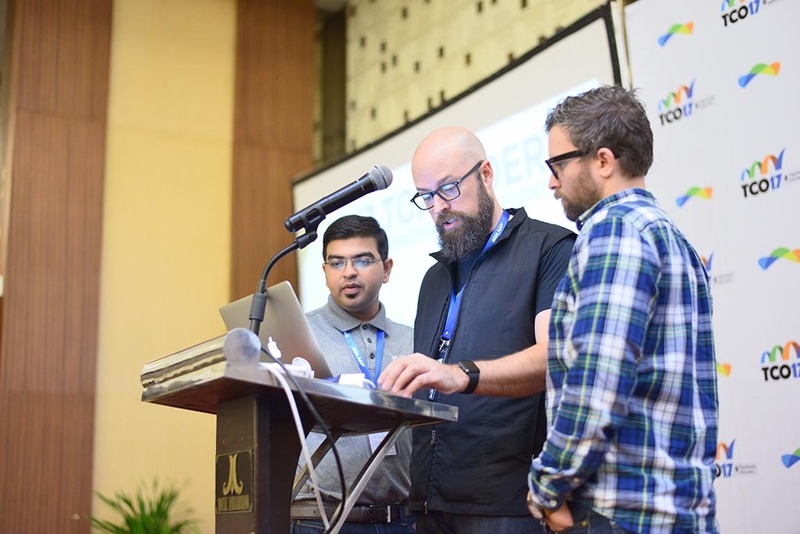 In this special talk, all the attendees had their chance to ask anything about working on Topcoder. 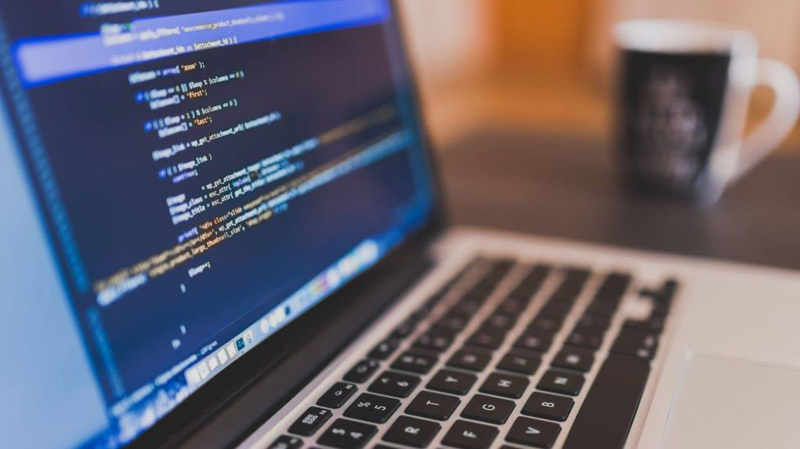 Have you ever wondered the magic behind a copilot’s work, or how competing on Topcoder is strengthening the community instead!? Curiosity kills time and sure one hour was not enough for a member talk session. When the session ended, we had our lunch, chit-chat, and selfies! Adroc then continued the event, showcasing the designs that stood out with great concepts and announced the Rapid UX Challenge Winners. Now as adroc announced that the final round has begun, the event was close to the end. Only 3 hours for the final competition for the grand prize: 2 tickets for paid trip to TCO17 on Buffalo, New York. The problem? Combine the car infotainment screens with mobile experience, again in 3 hours! When the final battle ended, adroc and tgerring started their review to choose the winners while we having fun on our dinner at the magical pendopo of Grand Ambarrukmo Hotel. At 7 PM, we headed back to main venue. Well, the suspense for waiting on the result was greater this year than as previous Rapid UX Challenge Winners showing various members, so everybody had the same chance to win the championship for the TCO Design Challenge. Forget about the suspense as hmehta and adroc showcased PixelPusher 2 submissions and selected them so the crowd can vote for the winner! I promised myself to not spoil the result, so here’s the keyword: Topcoder Family! We also have the Trendsetter Challenge Winner announced, along with Cognitive Badge Fun Challenge Winner and Cognitive Community Draw Winner. After all the fun challenge winners were posted, once again I felt suspense thickened in the air. 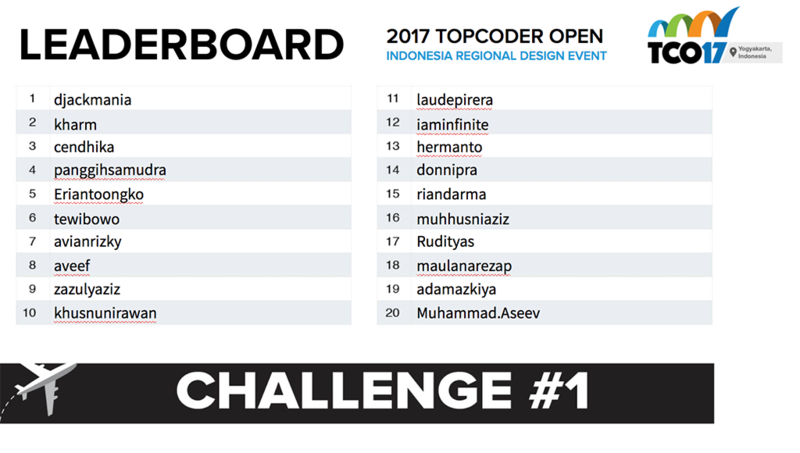 Then the countdown of the leaderboard for TCO Design Challenge was slowly revealed. The crowd went crazy as they saw their name up listed on the leaderboard. I myself was going nuts when I saw djackmania sitting in the 1st place! I was so happy for him and all the TCO Design Challenge winners! Guys, you’re really insane creating all the designs in just 3 hours! 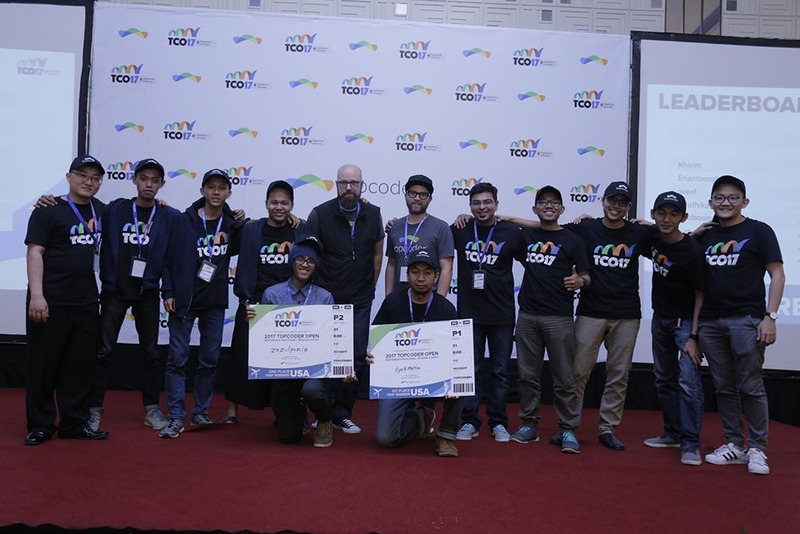 As the winners posted, TCO17 Regional Event Yogyakarta had reached its end. We had a spectacular photo shoot with winners and the attendees. 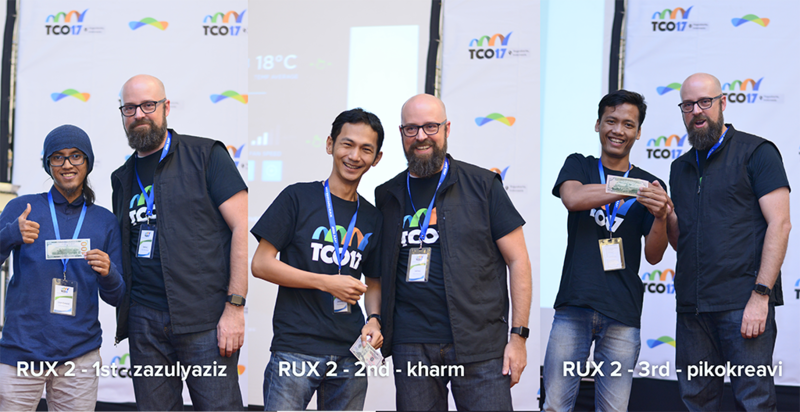 Thank you all to the attendees and challenge participants who made it to TCO17 Regional Event Yogyakarta! See you guys in another TCO Regional Events! Adieu!